If you want to help improve the lives of people affected by cancer, this is a great place to start. You’ll find Macmillan posters to put up in your local library, doctor’s surgery, at work or a school, as well as other useful materials to help you change lives. Campaigning is vital to us. It helps change things for the better and makes sure people affected by cancer have their voices heard. If you want to get involved in campaigning for Macmillan to support people affected by cancer, we’ve got all the tools you need. For your complete guide to campaigning for Macmillan, order a copy of our free campaigns guide book. And for free templates and promotional posters, see below. If you’d like to request our free petition template, download the petition request form and email your completed form to campaigns@macmillan.org.uk. We’ll get back to you as soon as we can. 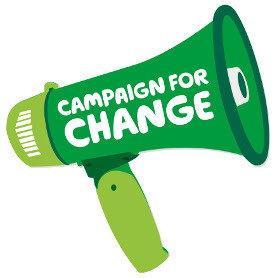 Download free templates These Word templates have been designed to help you roll out Macmillan’s national campaigns in your local area. We have recently developed our Volunteer toolkit – a distinct look and feel for volunteering to give us a clear and powerful identity. We’ve also got our Volunteer messaging deck with some useful phrases for you to use in your volunteer communications. And why not check out Volunteer News, our quarterly newsletter stuffed full of our most recent volunteering stories? Macmillan supports hundreds of independent cancer self-help and support groups and organisations across the UK. It's a place where people affected by cancer can spend time with others who share and understand their experience or who have dealt with it in the past. We have lots of posters and leaflets to help you promote your own groups locally.